Mukul Rohatgi was appointed as Attorney General of India after the Narendra Modi government assumed power in May 2014. He resigned from the post in June 2017. 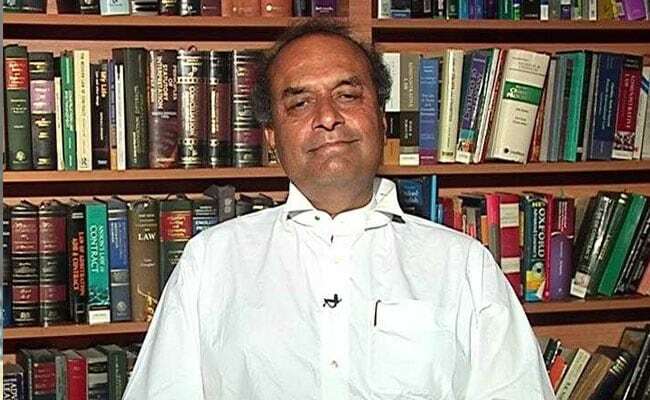 New Delhi: Senior advocate Mukul Rohatgi has been appointed as an eminent jurist in the selection committee for appointment of the Lokpal, the Centre told Supreme Court today. Attorney General KK Venugopal told a bench headed by Justice Ranjan Gogoi that a decision was taken on May 11 appointing Mr Rohatgi as an eminent jurist in the selection committee, which is chaired by the prime minister. Mr Rohatgi was appointed as Attorney General of India after the Narendra Modi government assumed power in May 2014. He resigned from the post in June 2017. The post of eminent jurist in the Lokpal selection panel was lying vacant since the death of senior advocate PP Rao on September 11, 2017. The bench, on hearing the submissions, posted the matter for further hearing on July 2. It was hearing a contempt petition filed by NGO Common Cause, which had raised the issue of non-appointment of the anti-graft ombudsman despite the apex court's verdict of April 27 last year.